Our guest author for Indie Month today is Kim Smith, author of An Unexpected Performance and several other adult fiction books. Let’s find out a little more about the lady herself in today’s spotlight interview. I would totally be able to fly. It has been a dream of mine many times. It feels so weird to be shooting through the air and have the ability to look down and see the world below. It would enable me to get, quite literally, a bird’s eye view of the places I want to visit and write about. Early bird. I can accomplish more in the hours before dawn than all the others during the day. It may be because I can feel free to focus on whatever task I am doing. Other times, people, and ‘have to do’ things hone in on my time. One food you would never eat? Chocolate covered insects. No way. Your most unusual or random habit? Petting my dog with my feet. She loves the constant stroking and her fur feels good. It’s totally weird, but wonderful. A drama award, a theatrical mirror, and two teens destined to be great actors if their roles don’t get them killed first. 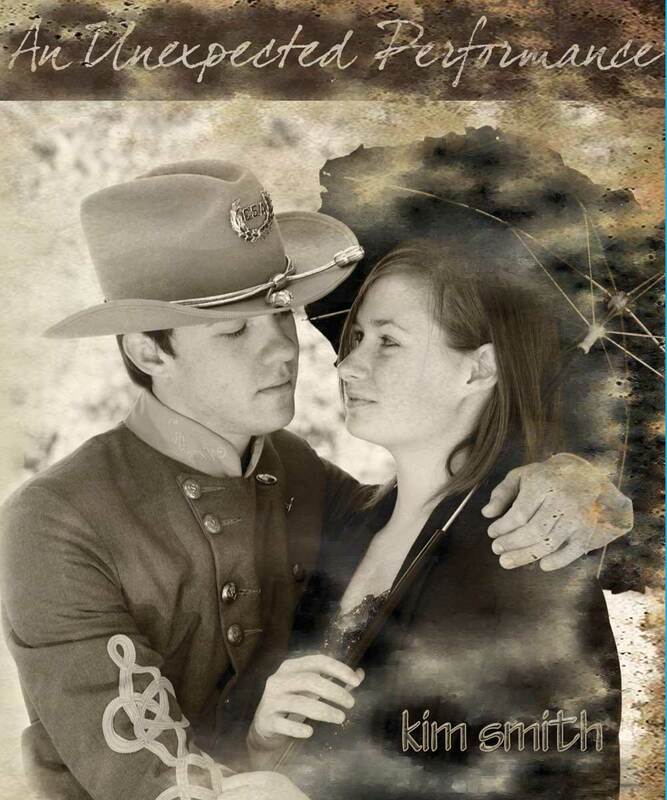 This entry was posted in Author Interviews, Interviews, May 2014 - Indie Author Month and tagged an unexpected performance, IAM, indie author month, interview, kim smith. Bookmark the permalink. Thank you for having me on Aside from Writing !